Ishay Grinberg sees the housing market shifting as more Americans rent apartments or homes for longer periods of time than they used to. Being in the business for nearly 15 years, he has cultivated the tools to simplify and streamline the rental process for the consumer, real estate agent and property manager. 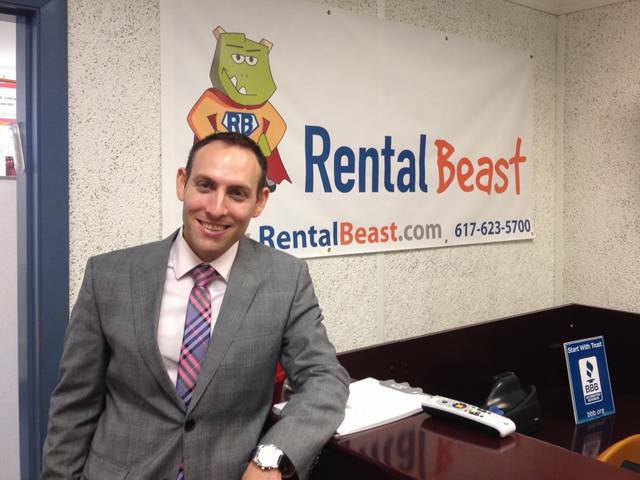 Rental Beast was officially founded in 2009 in Boston to provide renters with an MLS-style search engine that would provide them with extensive access to all available units in the area — or as close as humanly possible to 100 percent of available inventory. “However, when people want to rent residential real estate, it’s always been an extremely painful and time-consuming experience for the consumer. And it’s just as painful to the brokerage community at large to service these renters,” Grinberg said. So Rental Beast’s ultimate goal? Curating and maintaining the most comprehensive database for agents to utilize. Rental Beast gets every listing directly from either the owner or the property manager, which ensures that every listing has as much detail as possible to make it easier for agents who help renters find the perfect place to land. Another lofty goal set for the Rental Beast database is to keep it as up-to-date as possible. In the rental market, a home or apartment in a high-demand area could be listed for only a couple hours before being leased out, Grinberg said. Quality is key in the listings, although there are no stipulations in place for the number of photos or the quality of photos. In fact, Grinberg said there is no requirement for photos at all. The details lie in the descriptions. Grinberg said that Rental Beast also serves as a perfect primer introduction to individuals who are potentially going to buy a home in the near future.